The Rich get sick more because of self-indulgence. Saint John Chrysostom understands medicine! The Rich get sick more because of self-indulgence. Saint John Chrysostom understands medicine! A quote from his homilies and an short explanation about fasting. The Rich get sick more because of self-indulgence. Saint John Chrysostom understands medicine! 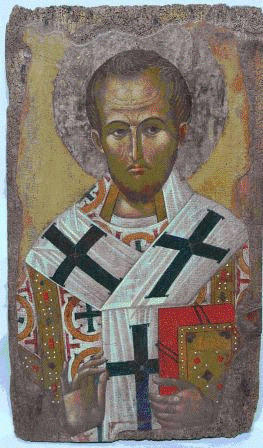 St John Chrysostom many times in his sermons remonstrated against the indulgences of the rich. In the following passage, he shows great medical understanding also. In our day, with diabetes and obesity at epidemic levels, and all sorts of cancers and other maladies that are diet related, reputable doctors would certainly agree with him. The lesson here is that self-indulgence kills. It absolutely kills the spirit, and even in this life will usually kills the body, by degrees. Thank God that we have a remedy for self-indulgence, which leads to so many ills! We have temperate fasting, which, if practiced with dedication, is healthy for the body and the soul. I encourage you to fast, even if it is only a little. Any departure from unbridled self-indulgence is good for the soul. If you normally eat meat every day, or whatever is at hand, develop the custom of abstaining from it on Wednesday and Friday, or even, if you feel this is too onerous, eat only chicken or fish on that day. Do everything with the guidance of your confessor. There is a general fasting rule, and it is beneficial to follow, but, as in almost everything, if we are weak we will benefit by approaching our goal by degrees. Try to fast a little better, and be sure to add a little more prayer on those days. Your spirit and your body will become healthier. Do not do this alone. Talk to your confessor. May God bless you. This entry was posted on Saturday, October 1st, 2011 at 1:09 pm and is filed under Fasting. You can follow any responses to this entry through the RSS 2.0 feed. You can leave a response, or trackback from your own site.